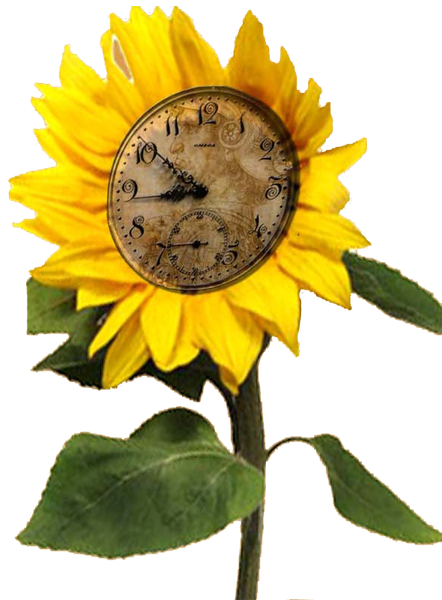 Creating Time is a heart-centered-yet-practical guide that offers a new paradigm of time and the tools to implement it. Marney Makridakis has devoted her career to helping people live fuller and more meaningful lives by connecting with their own creativity. 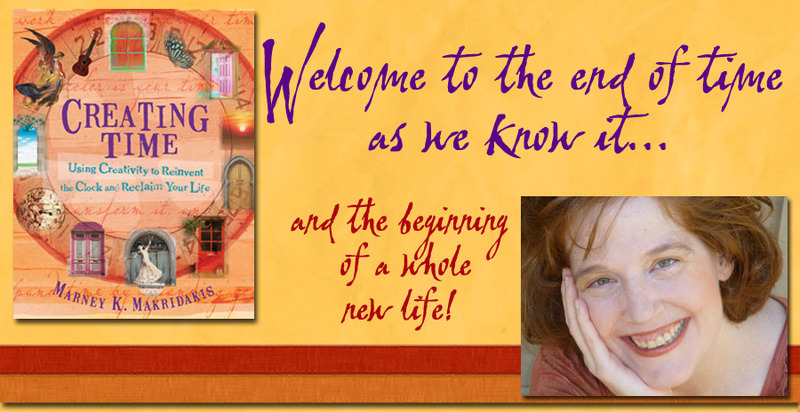 In this unique and enchanting book, she shows us how to use our creativity to experience a new relationship with time. Marney’s brilliant techniques combine art and philosophy, science and story, to help us connect deeply with the power of our creative selves. By accessing that part of our selves, we go beyond our normal ways of thinking and are able to experience time in more empowering ways. "Marney's work sails beyond time-management into creating time, appreciating time, and replacing conditioned anxiety with magic. I never thought I’d experience joy in looking at time. But I felt expansive as I read this, tickled, curious, and loved. These right-brained techniques can help you uncover an exquisite abundance even in your left brained world." "Imagine you had a wise and wonderful friend who could show you simple, yet artful and fun ways to forever change your relationship with time. Wouldn’t that just be the best gift ever?For those of us who are always running out of time, who feel the daily pressure and stress of "not enough time," this book will expand your mind, open your heart and YES, give you all the time in the world." "When Marney's book arrived, I thought, 'Pshaw! There is no way to find more creative time.' It took maybe ten pages before I was rejoicing. Marney has done the impossible - created a plethora of joyful ways to transform how you see, experience, and create with time. This book is the time machine you've been waiting for." "In a society that seems to thrive on making us feel hurried and harried and pressed for time, this book stands firmly in the conviction that we have more time than we think we do and that we’re entitled to every delicious minute of it. The farthest thing from a straitlaced ‘time management book,’ Creating Time is an artful collection of practical tips, creative exercises, and philosophic ponderings for making the most of every hour and, subsequently, making the most of your life." "If you've ever wished for more hours in a day (and who hasn't? 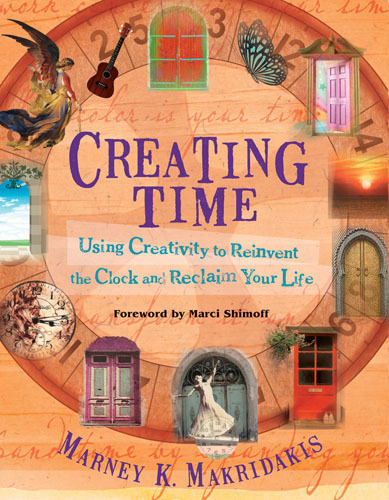 ), Marney Makridakis' magical book Creating Time is for you. Her wise insights, creative exercises, and inspiring artwork will empower you to say so long to scarcity and stress and hello to freedom, focus, and flow. Now, isn't it about time?" "One day recently I got through all my tasks, appointments, and events very smoothly. I'll bet it was because I had been reading Creating Time, a book that helps one reimagine our perception of time." “It is a wonderful book on time management, bringing in unique perspectives which have not been offered or thought about before...a great inspirational book." 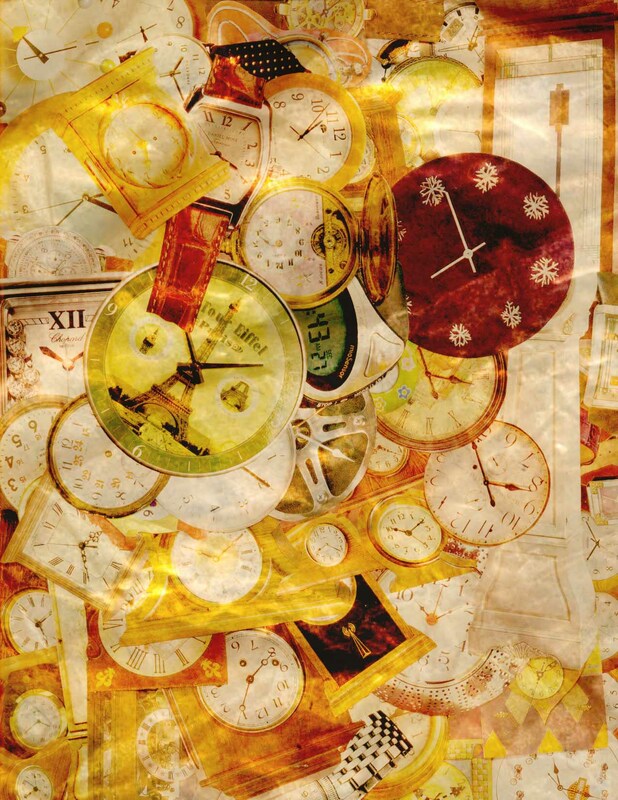 "Creating Time is a very visually appealing book, featuring unusual artworks by the author and other contributors. Call if magical if you will (Makridakis does), but reinventing time is all about is engagement. This book teaches you, via various tools and strategies, to focus and appreciate and liberate yourself from ordinary time so you can enter flow and access your most creative self." "Creating Time is useful, fun, and very, very easy on the eyes. An easy book to spend time with...it's hard not to be inspired. It truly feels like an invitation to take a fresh look at managing our days." "If you're frustrated by the lack of time for your creative pursuits, Creating Time will help you take contol, and readers will find that these strategies can easily spill into other areas of their lives as well. Makridakis offers practical tools to help readers shift their perceptions, using their creative talents to make adjustments and change the way they think about time."